Faber have been producing high quality cooker hoods and extraction units for over 50 years. With a large range of cooker hoods ranging from the innovative Nest Island hood with “up & down” technology to the A rated Black Tie glass wall mounted cooker hood – there are plenty of cooker hood styles to choose from. 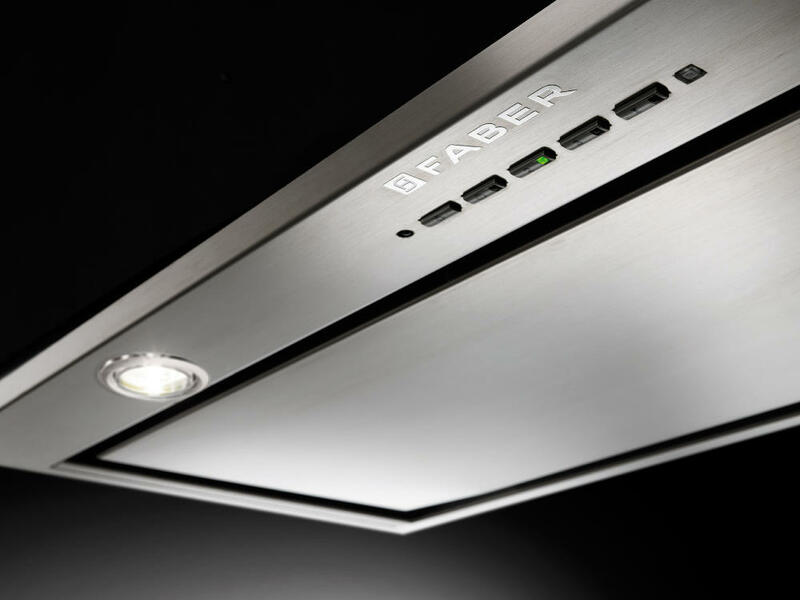 Since inventing the first domestic cooker hood in 1952, Faber have been pushing the boundaries with extraction technology. With a large number of A Rated energy efficient models, Faber effectively use green technology to limit energy use in their cooker hoods. 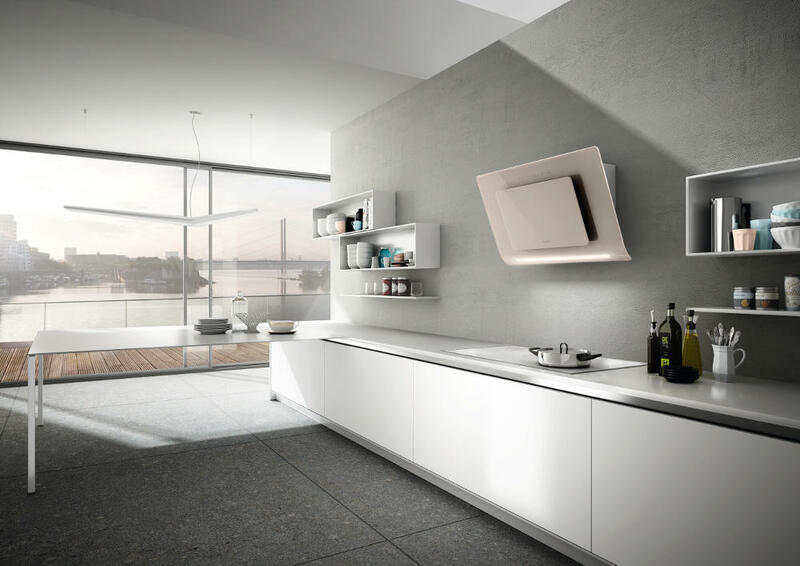 The Faber F-Light collection of island cooker hoods feature innovative “up & down” technology. Designed to elegantly sit above an island hob, the F-Light hoods can be lowered towards the cooking station when in use and raised again once cooking has finished. 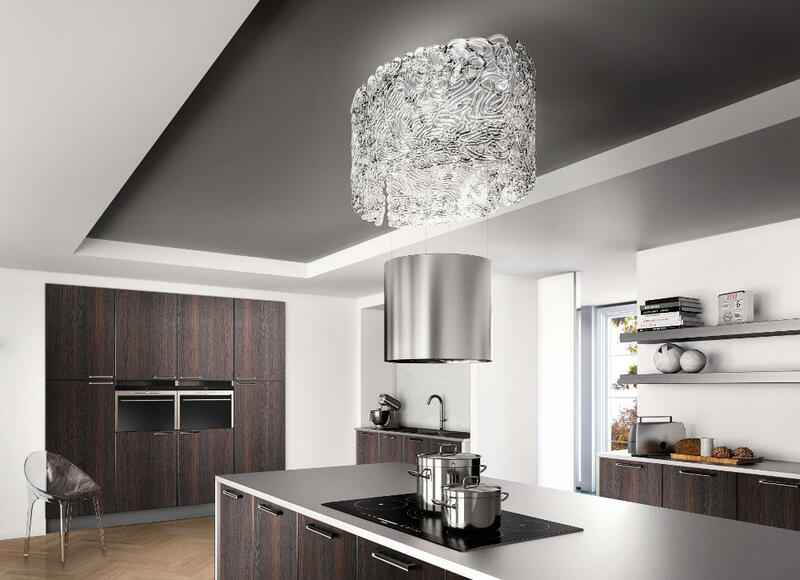 Housed within a stylish outer lighting unit, the cooker hood becomes a designer kitchen chandelier when on standby. 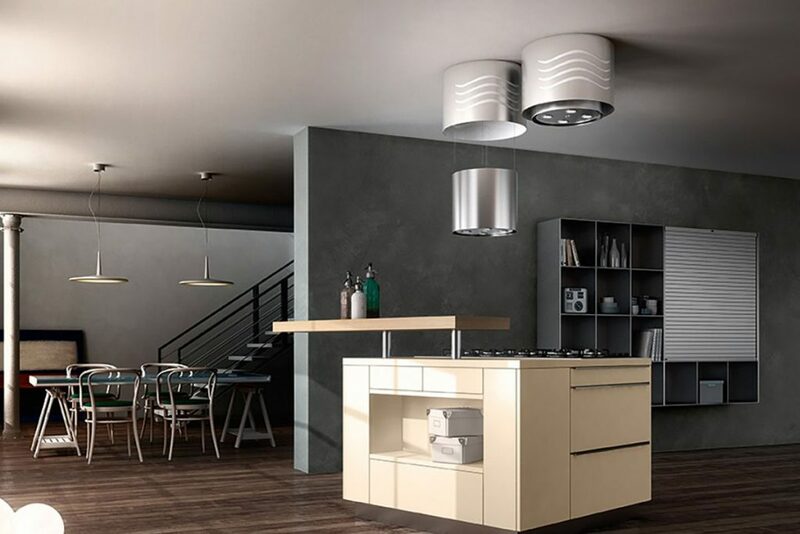 With stunning wall mounted designs such as the Veil, which has been designed to emulate draped material, Faber cooker hoods are a beautiful addition to any kitchen design. The Faber wall mounted collection of hoods are available in a large palette of different finishes, including hand finished silver leaf. 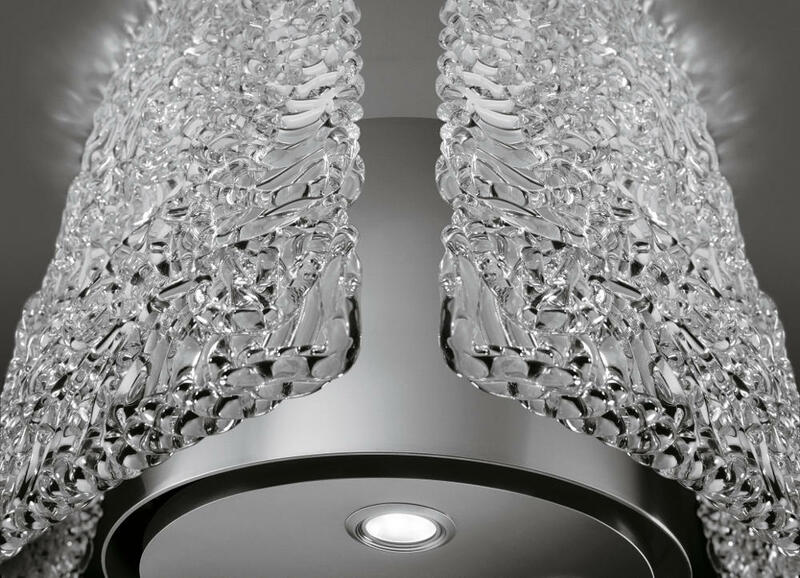 The Faber range of Ceiling hoods include the Heaven 2.0, which is available in white glass or stainless steel. Sitting above an Island kitchen unit, the Heaven effectively extracts cooking odours from the kitchen and the linear style blends seamlessly into the ceiling.